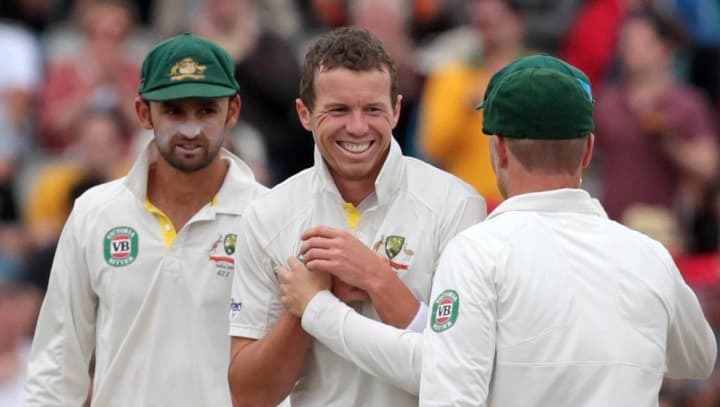 Nottinghamshire have signed Australian fast bowler Peter Siddle as their overseas player for the 2014 season. Siddle has no conflicting international commitments and will be available for all of Nottinghamshire’s LV= County Championship and 50-over matches but won’t feature in twenty20 games. He has taken 167 wickets in 46 Test Matches for Australia and will go head to head with Nottinghamshire duo Graeme Swann and Stuart Broad when the battle for the urn resumes next week. “I’ve always wanted to spend a season in county cricket and this feels like the right opportunity at a time when Australia have no Test matches scheduled,” said Siddle, 28. "He’ll be an excellent role model for the younger players in our squad and his wicket-taking ability will lift us,” - Mick Newell. Director of Cricket Mick Newell hopes that his decision to add quality to the bowling attack will pay dividends after a long tradition of recruiting overseas batsmen. “Peter was always our number one target and we’re very pleased to have secured his services,” said Newell. Siddle was an impressive performer during Australia’s defeat at Trent Bridge in the first Investec Ashes Test of 2013 with an eight-wicket return. “He was excellent over here during the Ashes series,” said Newell. “He has a track record of taking wickets all over the world and I’m hopeful that he can exploit the conditions at Trent Bridge. Newell has already penned in Siddle and Andre Adams as the leaders of Nottinghamshire’s LV= County Championship bowling attack next season leaving Harry Gurney, Luke Fletcher, Andy Carter, Ajmal Shahzad, Paul Franks and Jake Ball to compete for the remaining spots. “I’m hoping that he will bring out the best in the other bowlers as I expect to name Peter and Andre in the side,” said Newell.